Imagine yourself relaxing in a hammock between two coconut trees. You feel the warmth of the sun shining down as you sip ice-cold lemonade. We’ve brought this lovely daydream to reality with a moist vanilla cake layered with refreshing lemon filling, all covered in cream cheese frosting and topped off with coconut flakes. Take a look. We dare your taste buds not to water. 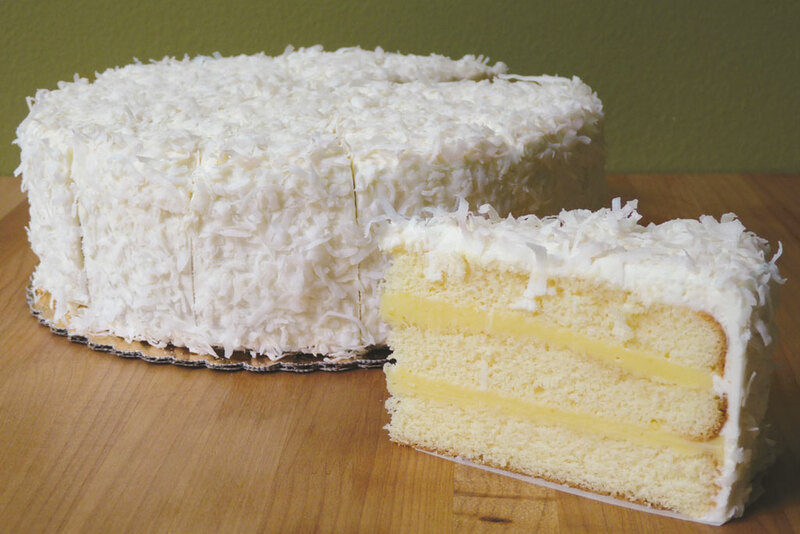 Our refreshing Coconut Lemon Cake is available year round! This cake could be just the tropical escape you need. Order this cake by calling one of our cafes. Please allow 72 hours advance notice for special orders.